Yes, you can enjoy the holidays without sacrificing your fitness goals. We’re not talking about gnawing on a celery stick while everyone else enjoys three-course meals, and we’re not suggesting you sip sparkling water while everyone else ties one on at the holiday party. We’re here to help you achieve balance, and that includes eating delicious, vibrant food and indulging in a cocktail if you desire. Let Beachbody Super Trainer and 21 Day Fix creator Autumn Calabrese and her brother chef Bobby Calabrese teach you the easy way to make perfectly portioned gourmet holiday recipes on FIXATE, the exclusive Beachbody On Demand cooking show! Bobby and Autumn teamed up to create 14 holiday-inspired recipes because. Coming from a large Italian family, many of their family get-togethers centered around food — especially pasta dishes like Grandma Calabrese’s angel hair pasta with squid sauce that the family would enjoy at their annual Feast of the Seven Fishes on Christmas Eve. So what was the strategy Autumn and Bobby, who worked as the head pasta chef at a Michelin-starred Italian restaurant in New York City, followed to create a celebration-worthy menu filled with decadent-tasting dishes that, from vegetable-focused sides to moist beef tenderloin to seasonal cocktails and desserts, offer something for everyone? “When creating these recipes, the most important thing for me was not to be a buzzkill,” confesses Bobby. “I wanted to preserve the joy of eating such a feast and the traditional dishes that accompany it, while still meeting the strict nutritional standards we live by. That meant the food had to be delicious, and we couldn’t just eliminate classics like Thanksgiving gravy simply because they’re tough to Fix. “Judging by the responses we’ve had from our Thanksgiving recipes, I’d say we nailed it. I’ve been getting messages from Fixers telling me how their dishes got rave reviews even from the members of the family who had no intention of eating healthy!” says Bobby. 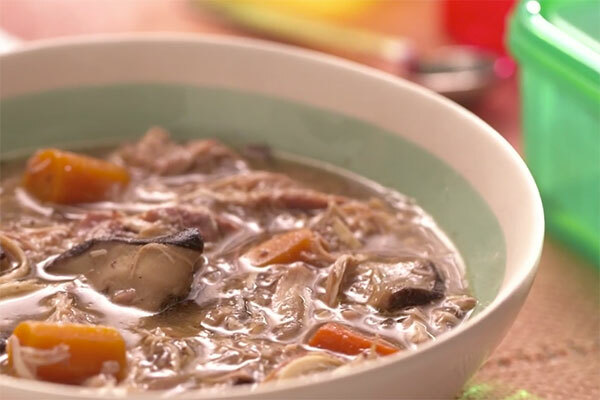 Watch Autumn and Bobby make these special recipes on the FIXATE Holiday Special on Beachbody On Demand. Make all of the recipes, or pick and choose your favorites to plan the holiday menu that will surely please every palette. This impressive holiday main dish will have you out of the kitchen in about 45 minutes, fridge to table – that’s a Bobby Calabrese guarantee. 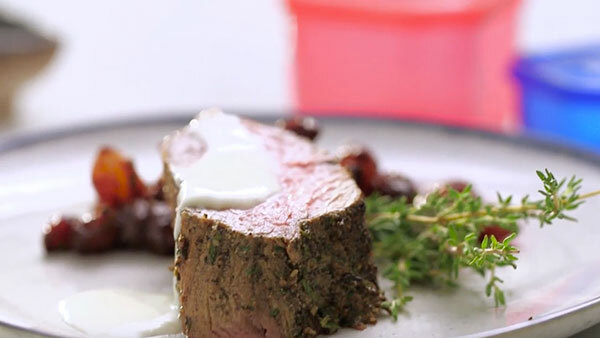 In this episode of FIXATE, he and Autumn will walk you through every step of this holiday beef recipe, showing you how to make a savory herb rub, temper the meat, achieve the perfect sear, and plate an amazing, healthier Holiday Tenderloin. As holiday recipes go, this irresistible Slow Cooked Chicken in Wine Sauce is deliciously simple. In this episode of FIXATE, Autumn Calabrese and her brother Chef Bobby Calabrese demonstrate how easy it is to elevate a simple chicken breast to new heights. 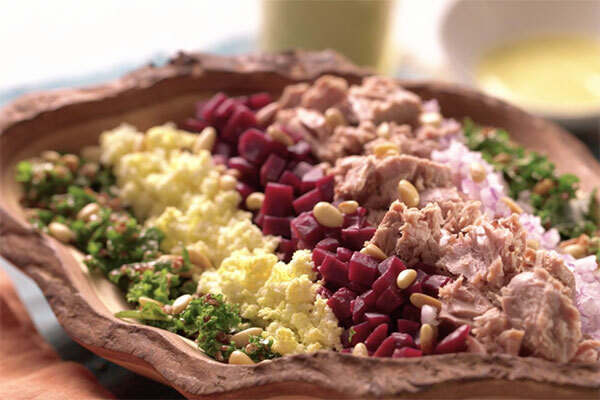 You’ll want to add this Hearty Winter Salad to your holiday menu. In this FIXATE favorite, you’ll learn how to make a creamy rosemary blue cheese dressing and arrange a festive salad platter worthy of being the centerpiece of any meal. Make these FIX-approved Sweet Potato Latkes for Hanukkah or any time you’re craving a savory treat. 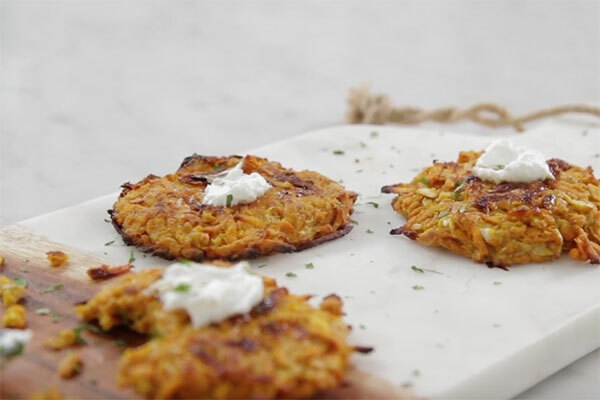 Autumn and Bobby take this holiday classic to healthy new heights by baking the latkes in lieu of frying and topping them with a dollop of creamy nonfat Greek yogurt instead of sour cream. Forget everything you think you know about Brussels Sprouts, because Autumn and Bobby are bringing this nutritious veggie back in delicious fashion. 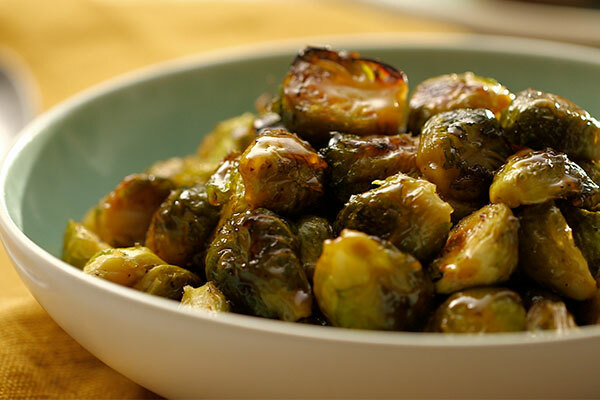 These Maple Glazed Brussels Sprouts are tossed in a knockout combo of sweet maple syrup and tangy apple cider vinegar and oven-roasted to perfection. 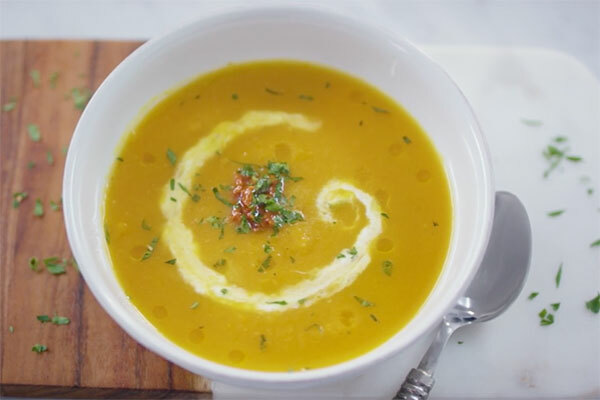 This Butternut Squash Soup looks and tastes like you spent all morning hovering over the stove. It’s topped with a homemade roasted red pepper jam and a dollop of spicy yogurt which impart a touch of sweetness and a hint of heat to the dish. Cioppino is a special holiday recipe for the Calabrese family. This traditional Italian fish stew is ideal for holiday meals served family style. Onion, fennel, and dry white wine provide the foundation for the deeply flavorful tomato broth. 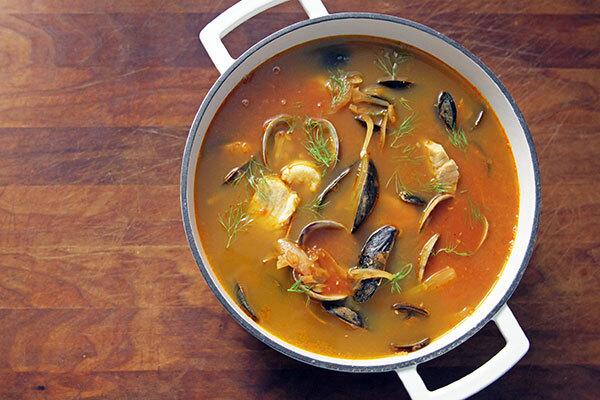 A bounty of manilla clams, mussels, fresh shrimp, and lean white fish make this seafood stew unforgettable. 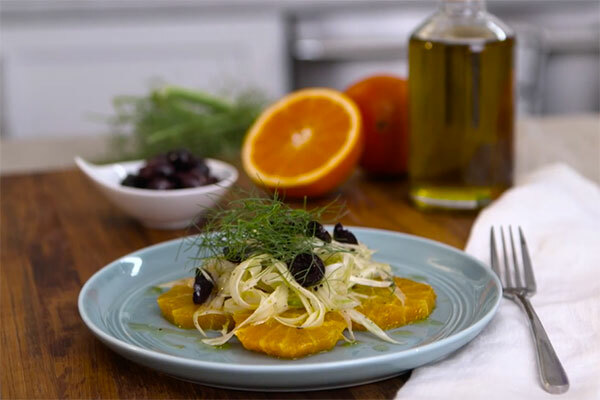 This crisp Orange and Fennel Salad makes a bright starter or refreshing after dinner palate cleanser. Kalamata olives are an unexpected complement to the tangy citrus, and impressive plating takes this recipe over the top. FIX-approved Vegan Spinach Artichoke Dip is a healthier version of the mayo-based classic. To achieve the rich, creamy texture Autumn and Bobby use a whole avocado and in lieu of cheese, they incorporate healthy secret ingredient. 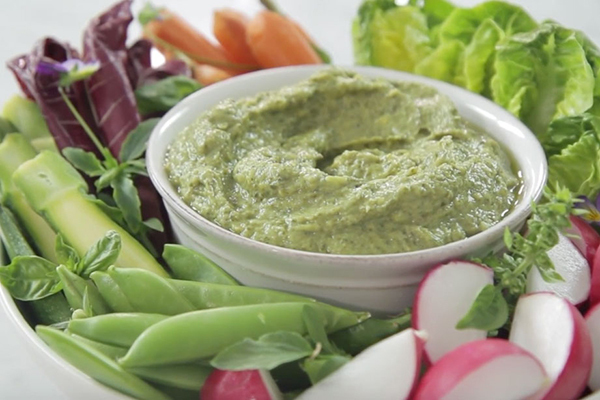 Compared to store-bought dips, this recipe boasts less than ½ the calories and ¼ the fat. 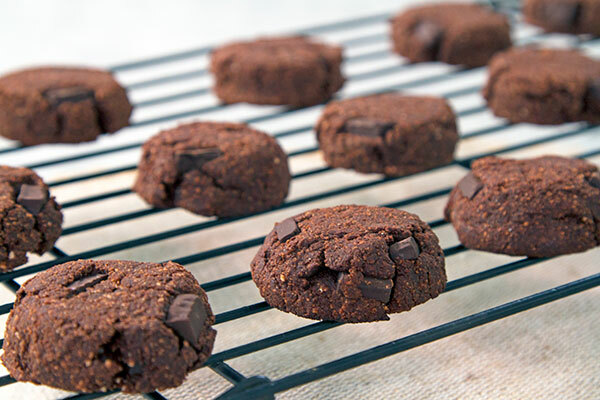 With rich cocoa powder and 70% cacao chunks, these Double Chocolate Cookies are absolutely swoon-worthy. Coconut milk, applesauce, and maple syrup make these luscious cookies a moist and delicious healthy holiday treat. No one will guess how wholesome they actually are. Shake up the season with this FIX-approved Candy Cane Martini. 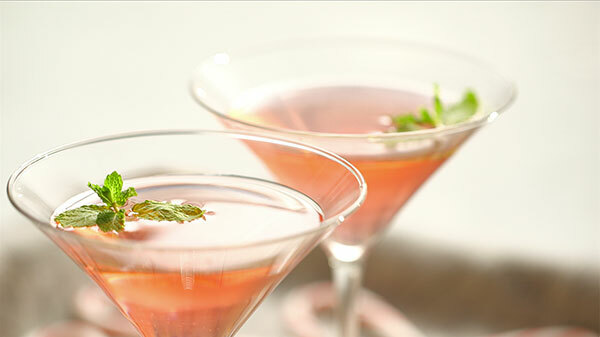 This skinny cocktail mixes sweet and tart elements like a minty simple syrup and cranberry juice with cool peppermint extract making this a truly festive beverage.